Google Glass Could Get You Pulled Over? Yep! Sure, we’ve chattered on about everything from the wow-worthy to the straight-up weird, wearable tech devices popping up these days. But, there is one place where sporting these gadgets might not be the sharpest move: on the road. 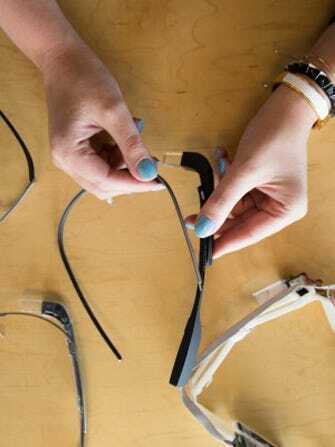 According to The Verge, Cecilia Abadie learned this lesson the hard way after she was swiftly pulled over by highway patrol in San Diego for sporting Google Glass. Some may argue that the gadget doesn’t distract drivers, but a few states (namely Delaware and West Virginia) have banned them en route. A closer look at the ticket, which Abadie posted on her Google+ account, indicates that speeding may have been the bigger reason she was pulled over, but this definitely starts to raise eyebrows and pushes forth ongoing concerns about these things being safety (uh, and social) hazards.